The South Georgia and South Sandwich Islands 2012 Duke and Duchess of Cambridge Wedding Anniversary Coin, also in Proof Silver, will make a great addition to any coin collection, especially a Royal themed one. This stunning coin has been specially designed and released to celebrate the anniversary of the wedding of His Royal Highness Prince William and the Duchess of Cambridge. 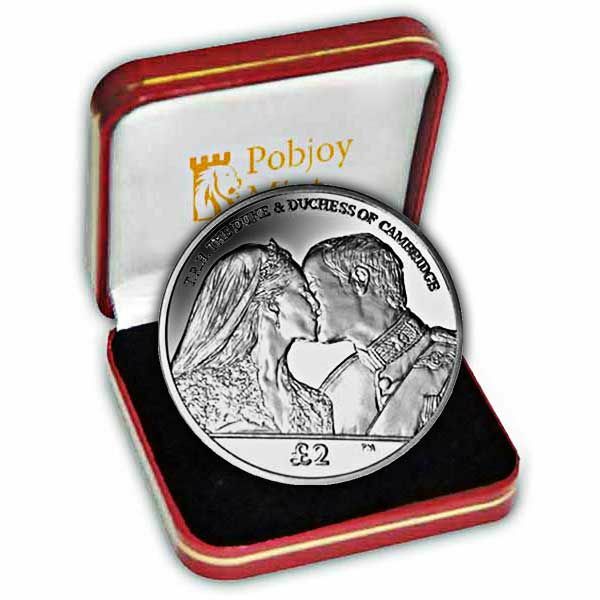 The coin features the Royal couple having their first kiss as a married couple on the balcony at Buckingham Palace. The obverse of the coin features a double effigy of Her Majesty Queen Elizabeth II in honour of her Diamond Jubilee year. 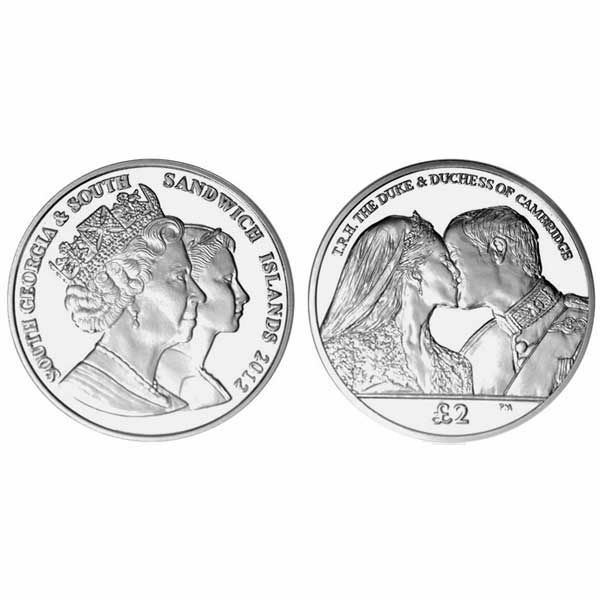 The South Georgia and South Sandwich Islands 2012 Duke and Duchess of Cambridge Wedding Anniversary Coin is available in Uncirculated Cupro Nickel and Proof Sterling Silver.